Do you remember that “It Was a Good Day” song by Ice Cube? If not, it’s a classic, and you need to listen to it immediately, but if you do, I apologize for getting it stuck in your head. But the reason I ask is that recently, I read a news story wherein a bunch of rap nerds got together and figured out exactly which day Ice Cube was talking about: it was January 20th, 1992. Step one, wake-and-bake. There’s nothing wrong with pot in the morning, and anyone who says otherwise hasn’t tried it. On lazy Sundays, I like to wake up with a good Bubble Gum joint, or something else sativa-dominant, and we sell them for $10 out-the-door here in our Durango dispensary. And then after I put out my joint to save for later (smoking an entire gram in the morning might cut the day a bit short), I’d mix a packet of Lucky Turtle 1:1 Honey into my coffee. These single serving packs of honey cost $9, and they deliver 10mg of THC and CBD. Granted, if you’d prefer fewer than 10mg in the morning (or if you don’t like overly-sweet coffee), just use half the packet. 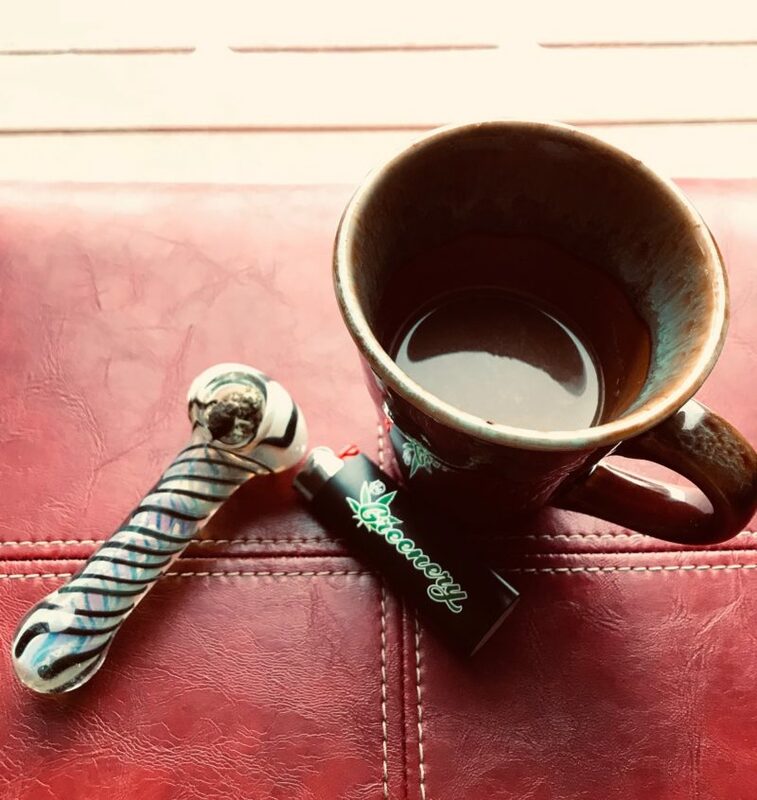 And timing is important: the high from your joint will last about an hour and a half, and it’ll take the honey about an hour and a half to kick in fully, so drink that coffee right after you put down the joint—for the perfect good day, a high must be maintained. The next step would be to go out and see the world. I like having my wife drive me around to thrift shops and breakfast places while I marvel at the bright day, couched comfortably in my buzz (but if you stop for breakfast, remember, there’s nothing wrong with bacon even though Ice Cube’s good day started when mom cooked breakfast with “no hog”). Then we go home to do chores and watch daytime TV; this is when my vape pen comes into play. I like to keep a terpene-rich distillate pen in my pocket, something like the Craft Reserve from O.pen that’s on our menu, and I lean towards the hybrid side of things as the day creeps by. I’ll take a puff or two when normalcy starts to creep back in, and it’ll carry me through to lunch when I smash a BLT and then load a bowl. Just like with the vape pen, my midday bowl is always a perfect hybrid, something like Blue Dream, because that even balance between mental energy and physical relaxation pairs perfectly with noontime. This is when I start watching something campy like “Ancient Aliens” (as it turns out, the History Channel would have you believe aliens are responsible for just about everything except pot). As the day gets older, I smoke and vape as needed, but if you’re a fan of baths, I’d recommend throwing some THC bath salt into the mix. We sell a rejuvenating bath salt that’s infused with eucalyptus and cannabis, it’ll soothe you until nighttime rolls around, because that’s when it’s time to kick things up a notch. Next, for dark nights, I like dark hash, like a good Moroccan or an Indica-dominant bubble hash. And that’s pretty convenient given that we operate our own Hash Factory, and we’re the only company in Colorado that manufactures and distributes classic concentrates such as Moroccan or Lebanese hash. So, to start my perfect evening to cap off that good day, I’d throw a pinch of Moroccan on top of a deep Indica like Pakistani Chitral Kush, smoke it, and then wait for the mind-numbing, body sedating high to knock me down into the couch (these days, it’s the only way to make the nightly news bearable). And then right before bed, I’d eat a brownie from Love’s Oven. They’re made with canna-butter which is difficult to find these days, they totally count as a desert, and the relaxing high would keep me sleeping through the night. Boom; the perfect end to a good day with cannabis (and there’s no law saying you can’t have two days like this in a row, so wake up and repeat as necessary). But this good day isn’t possible without cannabis, so come see us first. We’re located at 208 Parker Avenue right here in Durango, and we’re open every day (for hours, click HERE). Just make sure to bring your valid, government-issued I.D. proving that you’re 21 or older, because good days with cannabis are for grownups only. And remember, We’re Your Best Buds!